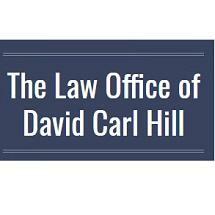 At The Law Office of David Carl Hill in Port Orchard, Washington, we are committed to helping you face your legal challenges head on and find solutions for all of the important and pressing issues affecting your finances, your property and your future as well as the future of your loved ones. To that end, our law firm offers exceptional representation and support in Chapter 7 and Chapter 13 bankruptcy, foreclosure defense, and estate planning. Backed by more than 35 years of successful legal experience in Kitsap County, and our dedicated associates and staff will always treat you with the compassion and respect you deserve as we strive to help you achieve the goals you seek. If you are dealing with overwhelming debt and don't know where else to turn, you can count on us to sit with you and discuss your situation to determine if bankruptcy is a viable solution for your case. If so, we will handle the entire process from start to finish so that you can find the peace of mind you so desperately deserve. If you are looking to establish you final wishes for the future and create a lasting legacy for your loved ones, we will help you devise solid, effective wills, living trusts and other estate planning instruments aimed at helping you protect yourself, your property and your heirs while addressing any future contingencies with regards to long-term health care or incapacitation. The winner of Avvo's 2015 Clients' Choice award for bankruptcy and holding a Martindale-Hubbell Notable rating*, our attorney can be trusted with your most sensitive legal matters, and we promise to do all we can to help you secure a brighter future for yourself and your family. Mr. Hill also wrote an estate planning handbook that is available upon request by contacting the office. To find out more, you can contact The Law Office of David Carl Hill by phone or through our website to schedule a free initial consultation. Chapter 7 allows individuals an opportunity to start over. Chapter 13 is often called a debt consolidation or Wage Earner Plan. Essentially a repayment plan is created based upon your budget. It operates somewhat like consumer credit counseling, with several major exceptions. Foreclosure - 10 commonly asked questions. Estate Planning - 10 frequently asked questions.